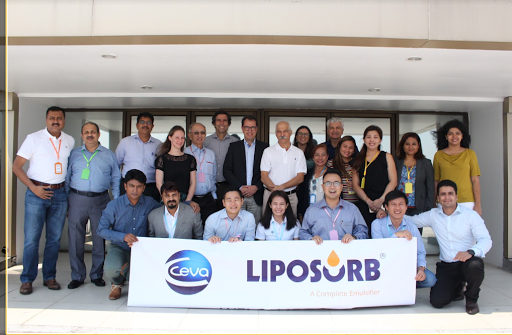 Ceva Polchem successfully held its first Partner’s meeting on 11th-13th April, in Chiang Mai, Thailand. The meeting was dedicated to upgrade the technical knowledge of Liposorb as well as introducing the whole team represented by 9 countries involved with the product for better interaction in the future. The program started with the presentation of Ruud Aerdts to ensure the group received the most updated information about Ceva Animal Health, its ambition, values and products. An updateof total 45 trials achieved at different level given by Ahsan Munawar, allowed all participants to boost their confidence regarding the data Ceva Polchem is claiming. This was followed by several technical presentations highlighting Liposorb action at feed mill level (by Rajesh Raydas), but also at farm level among different species. Sankaran V. introduced enthralling data for the use of Liposorb in aqua. On a more business strategy side, Stephane Bordier headed a session to introduce the concept of Key Account Management so that the Partners could follow Ceva’s methodology to achieve best retention and develop strategic relationships. A lot of business and technical exchanges done during this seminar could reduce the communication gaps and prepare the Liposorb community to the scheduled shut down of the factory at the end of the year 2018 to upgrade quality and capacity of Liposorb production. 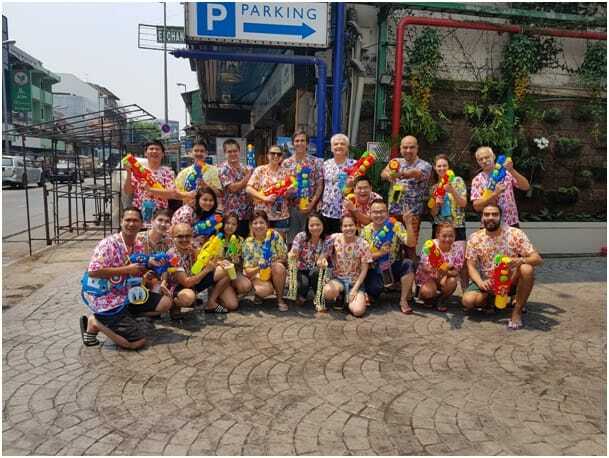 By participating to Songkran festival, all members felt being part of a new family with promising development of Ceva Polchem’s star product. The meeting ended on 13th April, which matched with the beginning of Songkran’s festival. Songkran refers to the Thai New Year, to celebrate Chiang Mai is the most happening place where people participate into giant water fights in the streets surrounding the canal. This was a great opportunity for Liposorb team to enjoy and bond. After three full days of meetings and social activities, the team was driven with a clear vision for better alignment and is ready to surf on the waves in 2018! We also thank the valuable contribution of our Thai colleagues to the success of this event.